The Georgia Health Policy Center is the national coordinating center for the Robert Wood Johnson Foundation’s initiative, Bridging for Health. 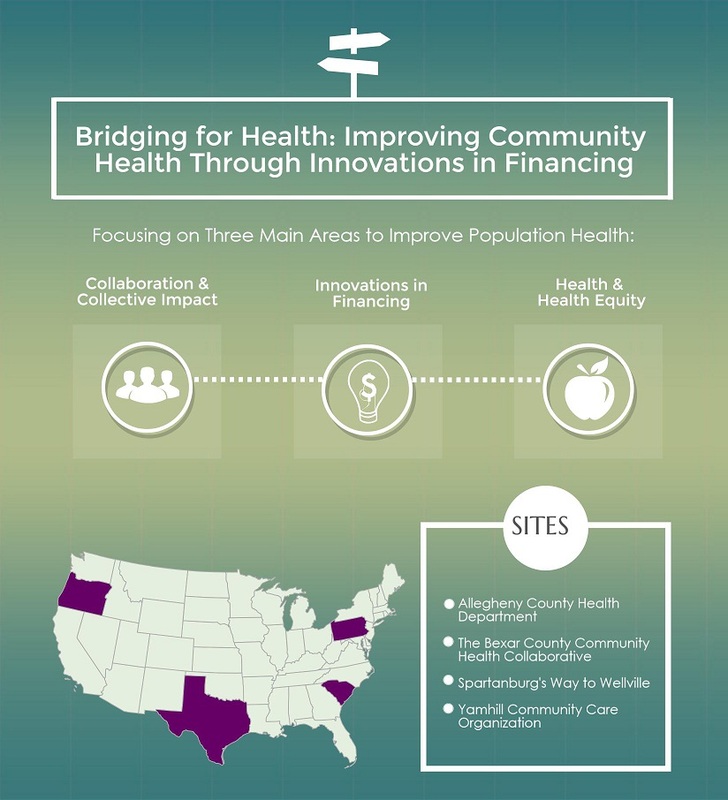 The center works with selected states, regions, and communities that are pursuing innovations in policy, health care delivery, and financing mechanisms that improve outcomes, and rebalance and align investments in health. Examples of such innovations might include pay for success or social impact bonds, wellness trusts, and Delivery System Reform Incentive Payments (DSRIPS).Communities across the nation are acting on or developing ambitious plans to change systems and structures to improve health and community wellness. 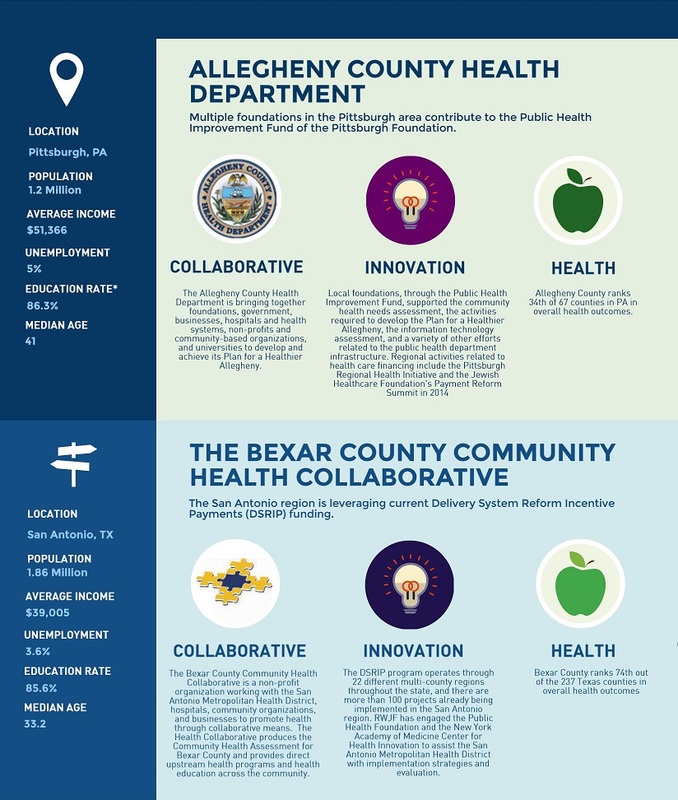 We are hoping to foster connections among multiple sectors that impact health, including health care, public health, social services, business, schools, housing, and others. An additional six sites may be named in 2015. 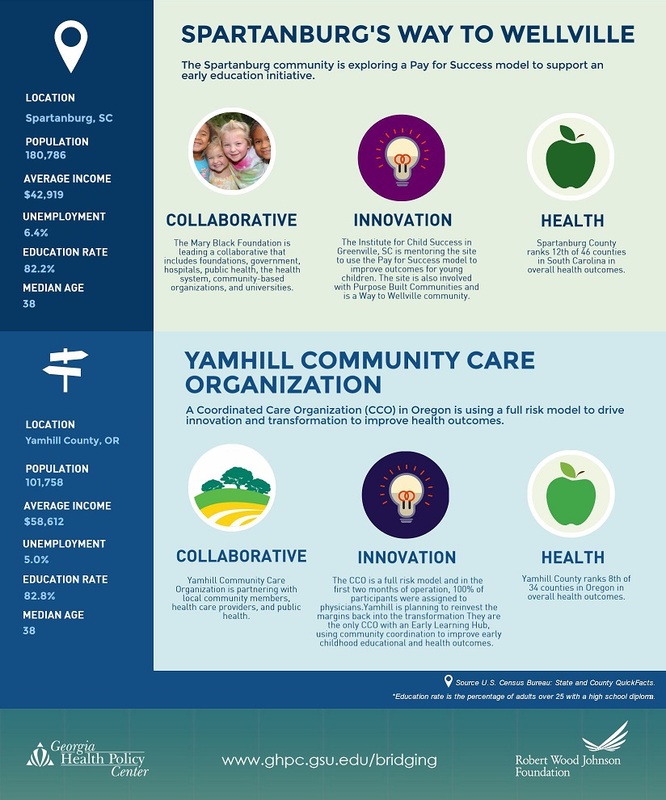 Read more and check out our infographic or handout to learn about the communities and if yours might be a good fit.